Find out why Master Architect Robert Trent Jones Sr. described Kananaskis Country Golf Course as “The best natural setting I have ever been given to work with” out of the over 500+ golf courses he has designed around the world. Every tee shot features a unique scenic portrayal of the picturesque Kananaskis Valley. Immaculate greens and tees are cut around the winding Kananaskis River, amongst a variety of indigenous coniferous and deciduous trees. Wildlife, mountain views, crisp white silica sand bunkers, and crystal clear mountain water that comes into play on 20 of 36 holes all combine to provide a world-class golf experience for players of all levels of ability. In the heart of the Canadian Rockies, less than an hour’s drive from either Calgary or Banff, visitors find a golfing paradise. 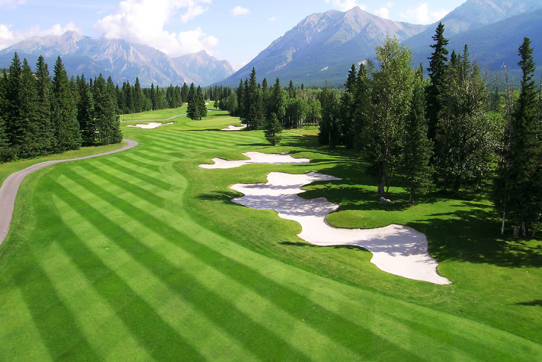 Kananaskis Country Golf Course is one of the premier golf destinations in the Canadian Rockies. Forming an unforgettable landscape, the rugged surrounding mountains tower 10,000 feet (3,000 metres) above sea level, the courses themselves are at almost 5,000 feet (1,500 metres). Situated in the Kananaskis Valley among boreal forest, the Mount Lorette and Mount Kidd Courses are named for the soaring limestone peaks that serve as their breathtaking backdrop. The Courses will offer immaculate lush fairways, bent grass greens, over 120 silica sand bunkers, five sets of tee boxes for players, glacier fed creeks and ponds, the cascading Kananaskis River and a variety of wildlife. In June of 2013, Southern Alberta experienced the costliest Natural disaster in Canadian history when the area received over half of the normal annual rainfall amount in just two days. 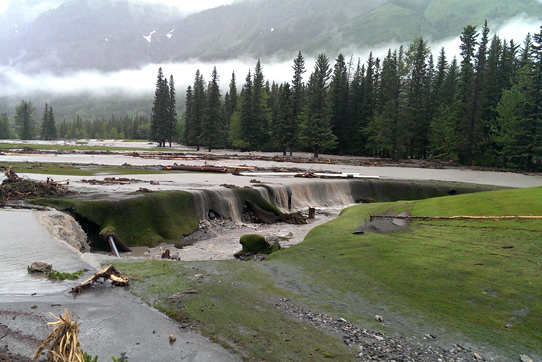 The impact to Kananaskis Country Golf Course was epic as all reaches of the golf courses themselves were impacted by the breach of both the Evan Thomas and Kananaskis Rivers. The immediate impact of the flood was felt on an economic and emotional level for many people who called the Kananaskis Valley home. For the golf course, 140+ employees had to find new jobs, damage had to be assessed, and the future of the World Class 36 hole golf facility contemplated. During the balance of the 2013 golf season thousands of supporters came out to pay homage to one of their favorite golf course , while thousands more sent support via phone calls, social media, and emails from all four corners of the world. Spring of 2016 will see efforts resume to restore the late Robert Trent Jones Sr. masterpiece in the Canadian Rockies. Led by a collaborative effort between Kan-Alta Golf Management and architect Gary Browning, a highly qualified team of golf course construction specialists will take on the critical task of bringing back this iconic golf masterpiece.